The Best Perth Blogs from thousands of Perth blogs on the web using search and social metrics. Subscribe to these websites because they are actively working to educate, inspire, and empower their readers with frequent updates and high-quality information. Perth newsletter is a comprehensive summary of the day's most important blog posts and news articles from the best Perth websites on the web, and delivered to your email inbox each morning. To subscribe, simply provide us with your email address. Perth, Australia About Blog PerthNow is the voice for every West Australian. We strive to keep our readers informed and advocate on their behalf. Follow us to keep up with latest news and stories including business, sports, entertainment, lifestyle and more. Facebook fans 436,988. Twitter followers 131,554. Perth About Blog So Perth is one of Perth’s fastest growing media platforms, providing a unique go-to place for local bloggers to share their passions and opinions. It is a place for the latest breaking news, local events, sports, music, technology and lifestyle, competitions and a place for brands in Perth to connect with a highly engaged audience. Facebook fans 60,975. Twitter followers 120,777. Perth About Blog Inspiring Wit is a fashion and travel blog sharing a curated take on street style by Jenella Wiity. This blog covers multiple topics including fashion, culture, street style, trends, travel, beauty reviews and more. Facebook fans 1,276. Twitter followers 839. Perth About Blog Welcome to She does... A fashion and lifestyle blog by Emily Suresh. It is dedicated for providing valuable content across a large range of topics to inspire and excite its readers. It features Fashion, Lifestyle, Food, Travel, Fitness and more. Facebook fans 2,220. Twitter followers 246. Perth, Western Australia About Blog At The Urban List, we connect youth with the best of urban culture. This blog features everything Cool, New & Trending in Urban Culture for Perth, across Entertainment, Style, Food & Drink, Travel, Health, Beauty and Careers. Facebook fans 145,684. Twitter followers 1,420. Perth About Blog Perth Daily Photo is a blog to show the world the beauty of Perth. Follow us to keep up with articles on Perth. Facebook fans 259. Twitter followers n/a. Perth, Western Australia About Blog We Love Perth shares all that is wonderful about Perth. Find out about all the great places to hang out through their directory and get articles on interviews with locals doing exciting things, look at upcoming events, and discover cool local businesses. Facebook fans 8,916. Twitter followers 14,787. Perth About Blog Welcome to Perth Munchkin, I am CJ. This blog is on food and my passion for Perth, with few recipes and restaurant reviews. Facebook fans 3,601. Twitter followers 3,224. Perth About Blog Follow us to keep up with breaking news from Perth and Western Australia, and a local perspective on national, world, business, sports, entertainment, politics and more from WAtoday. Facebook fans 152,281. Twitter followers 106,593. San Francisco, CA About Blog Reddit is a community of millions of users engaging in the creation of content and the sharing of conversation across tens of thousands of topics. Follow us to keep up with a constantly updating feed of breaking news, sports, fun stories and more on Perth from Reddit. Facebook fans 1,209,609. Twitter followers 575,841. Perth, Western Australia About Blog Naked Real Estate is about being totally transparent, hiding nothing and helping people find their homes. This blog includes articles on buying, finance, selling, investment, home, land, real estate agent and more. Facebook fans 1,480. Twitter followers 333. London About Blog Follow us to keep up with articles latest news, sports, business, opinion, analysis and reviews on Perth from The Guardian, the world's leading liberal voice. Facebook fans 8,028,883. Twitter followers 7,326,169. Perth, Western Australia About Blog Karen Cheng’s Fashion and Life Blog is about women’s fashion, lifestyle, and striving to live a balanced and fulfilling life. It also covers topics on family, parenting, beauty, food, fitness and photography. Facebook fans 5,497. Twitter followers 3,261. Perth About Blog Solar Naturally is a solar company based in Perth and it aims to help all homeowners and business owners save money by utilising clean energy solutions and help our environment in the process. This blog features Products, Projects and articles on Solar Panels. East Perth About Blog Follow us to keep up with articles on sports, entertainment, business, holidays, food and more from Crowne Plaza Perth. Facebook fans 7,761. Twitter followers 296. Perth About Blog Peggy Saas is a Perth Wedding Photography blog. This blog is documenting love stories in Perth and the most precious moments captured in images. Follow us to keep up with latest articles. Facebook fans 1,719. Twitter followers 737. Perth, Western Australia About Blog Her Quarters is a Beauty and Lifestyle blog by Amy. This blog features Graphic Designs, Skin Care, Makeup, D.I.Y., Lifestyle, Food and more. Facebook fans 1,035. Twitter followers 534. Perth, Western Australia About Blog Inexology is a food and travel blog by Inex Rebeka Palit. This blog has evolved to cover hotel reviews, travel, food and to explore the city of Perth as well as other cities, from markets, local events, cafe hopping, and casual brunch, to the gastro-art and fine dining. Facebook fans 2,262. Twitter followers 384. Perth About Blog The Patio Factory team are specialists in the design and fabrication of steel patios, carports, verandahs and pergolas. Follow us to keep up with articles from The Patio Factory. Facebook fans 4,438. Twitter followers 7. Perth, Western Australia About Blog Welcome to Two Kids Raising Kids, I am Teagan. I am a motherhood and lifestyle blogger. This blog features Motherhood, Mental Health, Parenting, Relationships, Lifestyle, Minimalism and more. Facebook fans 791. Twitter followers 21. Perth, Western Australia About Blog Katie Rebekah is an Australian lifestyle blog based in Perth. This blog features articles on Adventure, Beauty, Bon Appetit, Fitness, Life/Style and more. Facebook fans 263. Twitter followers 2,099. Perth About Blog Two Feet & a Heartbeat provides guided walking tours in Perth. This blog includes articles on urban adventures, uncovering the best stories, food, art, bars & restaurants, history and culture. Facebook fans 7,123. Twitter followers 3,002. Perth, Australia About Blog Bernadette Bosanac is a lifestyle blog. Follow us to keep up with articles on Perth events, delicious recipes, food, latest hair & fashion, all in Perth Life. Facebook fans n/a. Twitter followers 985. Perth, Australia About Blog Carmen Braidwood's blog features entertainment, exercise, family, food, health, holidays, radio, television and more. Facebook fans 2,323. Twitter followers 3,117. Perth, WA About Blog A&C Photography is a Perth's most awarded photographic team specializing in Wedding, Portraits, Event & Fine art photography. Follow us to stay informed about the latest work. Facebook fans 1,620. Twitter followers 755. 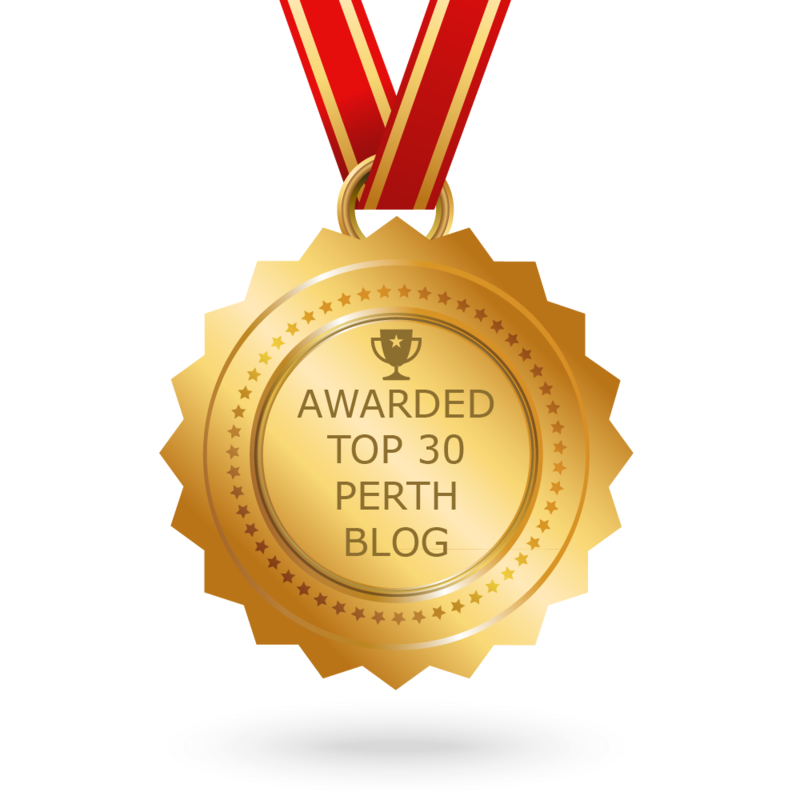 CONGRATULATIONS to every blogger that has made this Top Perth Blogs list! This is the most comprehensive list of best Perth blogs on the internet and I’m honoured to have you as part of this! I personally give you a high-five and want to thank you for your contribution to this world.